"Did you ever, stand and shiver... just because you were looking at a river?" So sang early Bob Dylan mentor, Ramblin' Jack Elliott, about a youthful trip to New Orleans where the Mississippi's inscrutable currents embodied the sense of mystery he felt here—a sensibility echoed by Simon Gunning in this sprawling retrospective. 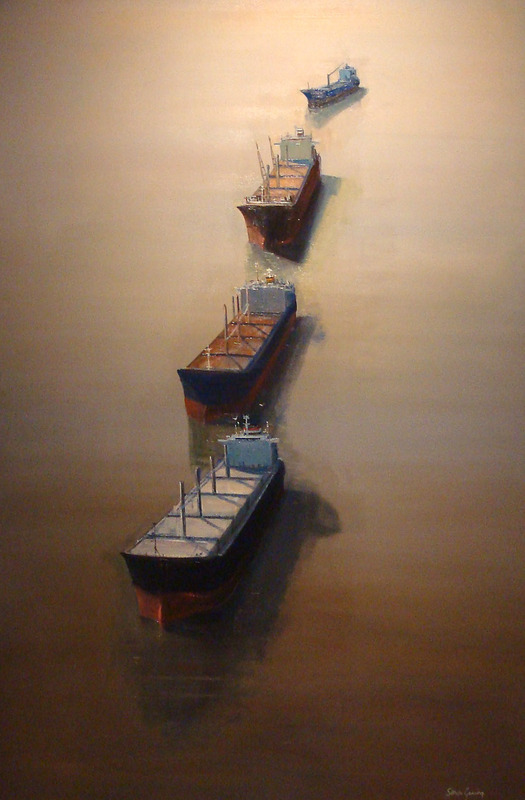 Intrigued by the Big Muddy and its contrast to the pristine shores of his native Australia, Gunning devoted much of his life to exploring its awesome charisma and the city it shaped--as seen in early paintings like The Messenger, where a bicycle courier navigates a narrow backstreet that ends with a huge freighter looming tall above antique buildings. 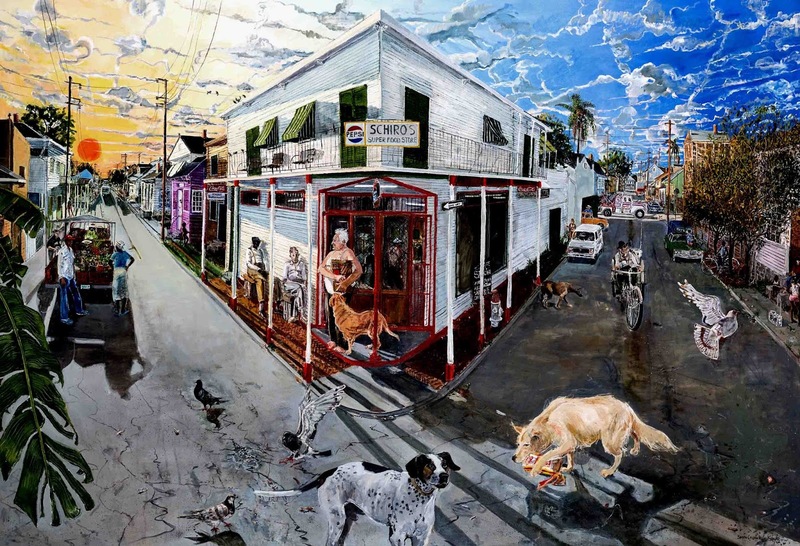 Schiro's at Sunset, below, depicts 1990s Marigny as a panorama of street life including stoop sitters, produce wagon vendors and stray dogs foraging amid discarded fried chicken bags as an elderly man in sleeveless undershirt clutches his bag of groceries. The Haunted Wharf is a chaotic river vista framed by the skeletal ruins of a dock, a view that contrasts sharply with his gorgeously serene swamp scenes. Gunning is at his mysterious best in works like Waiting, above, where ships like massive floating monoliths gather at the mouth the river, the placid surface of which belies roiling subcurrents surging into the Gulf Stream on its endless global journey. Mississippi Delta native Maude Schuyler Clay returned home to record her world after a stint as a photo editor in New York. 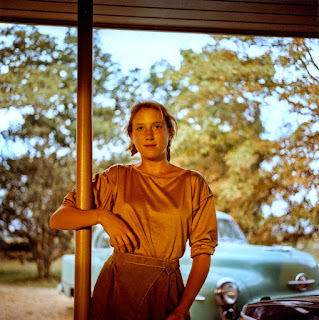 For her, the Delta is really its people as they appear in their remote rural setting, as we see in images like Bonnie Claire green car, view of a young woman looking much like a Pre-Raphaelite angel with a 1953 Oldsmobile. 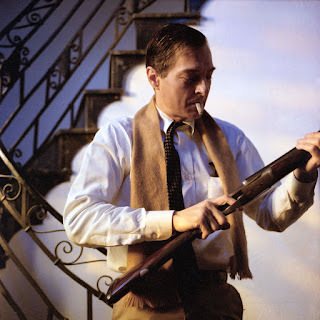 In Bill with Gun, her cousin, legendary color photography pioneer William Eggleston, clutches a vintage shotgun in a pose that takes him out of the worlds great museums and returns him squarely to his roots. ~Bookhardt / Simon Gunning: The Southern Louisiana Landscape, Through February 5, 2017; Maude Schuyler Clay: Mississippi History, Through January 15, 2017, Ogden Museum of Southern Art, 925 Camp St., 539-9600.